Packing your kitchen might be the most nerve-wracking part of moving. 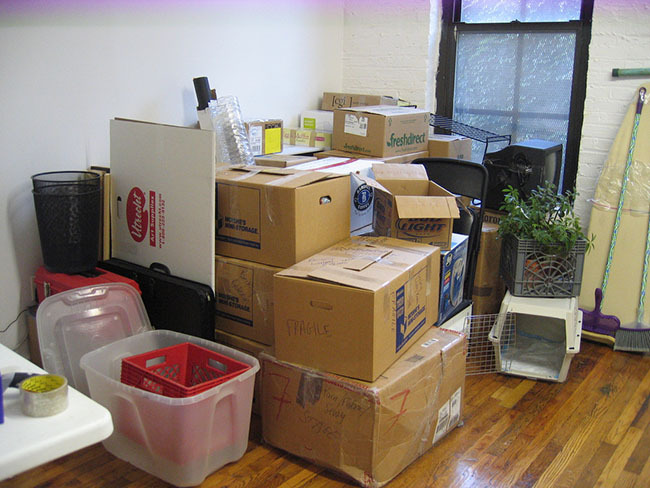 In terms of packing by room, the kitchen also might be the toughest to tackle. The domicile of the chef is where some of the home’s most fragile items, including wine glasses, fine china, coffee cups, and pots & pans, among other things. No one should spare any safety measures when packing up their kitchen items. Here is how our movers pack up a kitchen; try using some of these tips for yourself next time you move. When it comes to the kitchen, spare no expense! Cheap boxes can provide a weak buffer to contact with outside items, such as walls, hinges, other boxes, or the truck itself, causing damage to the fragile items in your kitchen. Using dedicated, thicker moving boxes rather than cheap re-used cardboard with questionable durability can help prevent these damages. With fragile items, preventing contact that could cause damage is key. 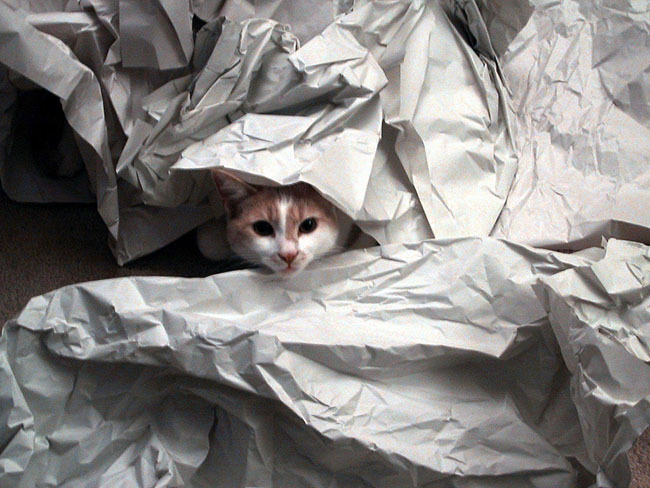 Packing paper can provide a buffer inside your boxes to prevent damaging contact between items. Fill up the bottom of the box with packing paper - why not? Don’t wrap your items too tightly though; you want to have enough paper between items to provide a cushion. Every cup should should be wrapped individually in packing paper before they are place in a moving box. Any direct contact between your kitchen items can lead to damage - it’s best to be safe. To save space in packed boxes, you can stack cups - but they should all be individually wrapped in packing paper prior to being stacked. To most effectively prevent damages, the cups should be separated wherever possible. To be extra safe with special cups, you can pack them in their own box. Plates, pots and pans can be packed mostly the same way cups and bowls are. Packers should use tissue to create a cushion between plates. All items should be wrapped individually. Given the space plates take up, it makes more sense to stack them one on top of the other, with the largest at the bottom and lightest on top. Packers should not create too large a stack - a good place to cut off and create a divider is about 5-7 plates. 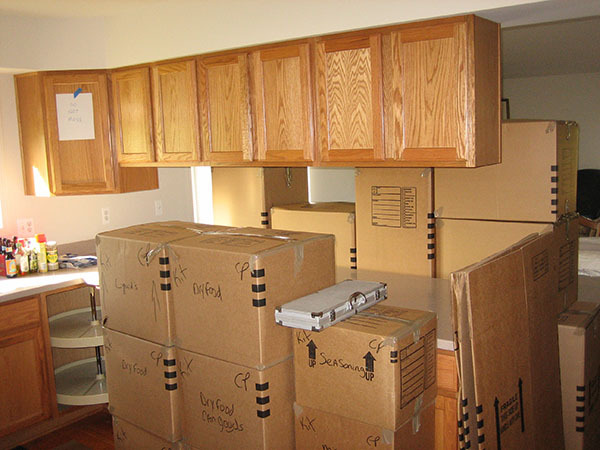 For smaller items like silverware and other kitchen accessories, packers should use a smaller box to prevent items from shifting within too large a space in transit. Like everything else in the kitchen, it’s wise to wrap with everything breakable with packing paper. Packers often forget to complete some simple tasks before they get their kitchen packed. One of the most common forgotten tasks is the removal of their microwave plate - packers should pack the plate outside of the microwave to prevent any transit damage. Remarkably, a lot of people also forget to empty their stove when using it as storage for pots, pans and other kitchenware. It is tough for packers to scavenge every corner of their kitchens prior to packing - but they should be able to remember to dispose of any food or liquids before their move. Those who don’t dispose of these items should ensure they are sealed to prevent leakage, which could result in loss of some items as well as damage to others.